Our first grave, one year later. It’s complete and growing in nicely. Just need Lain to engrave it – muahahhaha! Whatever shall we put upon it? Most of the plants, except for the chives and decorative carpet plant (with the pink flowers), are from Richter’s Herbs out of Canada. They have wonderful plants – even rare ones – along with heirloom seeds and almost anything else an herbal garden needs. They ship the plants small, but with well established root systems, making the shipping costs nominal. Their plants show good growth the year that they’re planted and, as you can see, the next year they really pop! Further inward and center are a few neptella plants – they smell absolutely wonderful. Middle right, off to the side of the grave proper, is a stray betony plant. Betony makes a splendid tea that’s a caffeine-free alternative to black tea. It sorta tastes like black tea but…not exactly. I’ve had the betony plants for three years. They were originally in the front garden but I transplanted them to the graveyard where they’re doing much better. The front two chive plants are from Lowes garden center. The rear one is from a packet of seeds that I unceremoniously dumped in there last spring. To the front left is a thyme plant that’s trying to take over the universe. 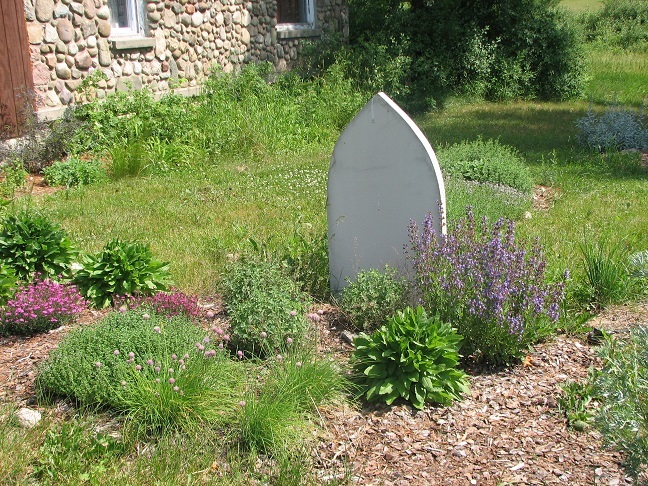 In this one, you can see more of the betony that marks the second grave – still no headstone on that one yet. 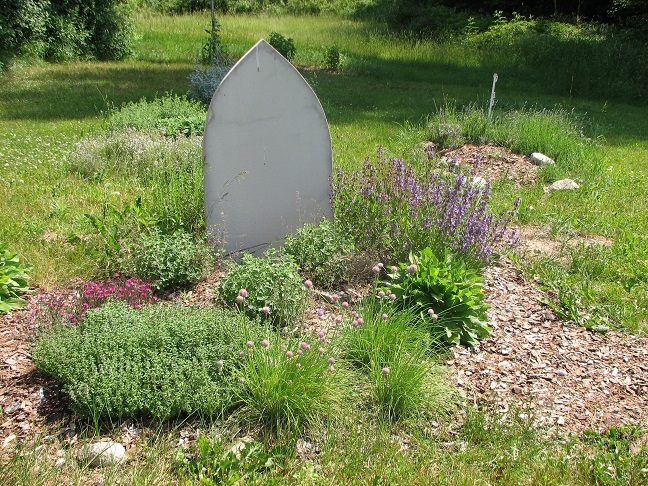 I’m still hoping to get another headstone in before winter hits * crosses fingers * but we’ll see. We have the masonry mix for it, just need to make the mold, stir, pour and cast. Plus set into place, those buggers are heavy! So we pour on-site so it just needs shifting and sliding into the pre-dug hole. Annnd that sounded saucier than a headstone setting ought to sound!